Pressure cook the soaked peas with 1/2 cup water for 2-3 whistles. Drain the water and keep the cooked peas aside. Add chopped onions and fry for 2 mins. 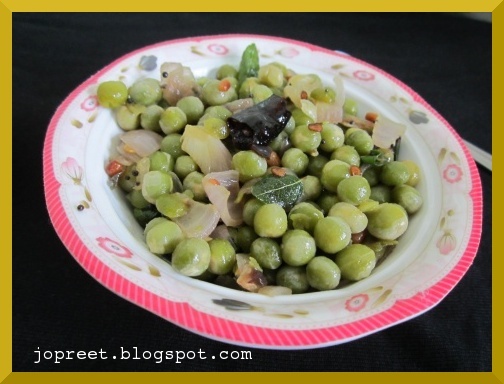 Add cooked peas, asofoetida and salt to taste. Fry for 5-10 mins and remove from the heat. Serve hot.